If the reviews have been coming on a less regular basis, it is not for lack of viewing. We are currently in the midst of a whole slew of great new dramas for the fall season. And with nothing ending, it seemed appropriate to report on what is going on in the Korean drama world. The Good Doctor is the story of an autistic man pursuing his dream of becoming a pediatric surgeon. Socially awkward, but brilliant, Park Shi-on must overcome the social stigma of being different in a society that cherishes conformity. Filled with heartwarming episodes that focus on the medical challenges of children who come to the hospital for care, the drama also throws in a good measure of political maneuverings amongst the hospital higher-ups as well. The drama so far has been a brilliant mix of adorable youngsters, conniving business people and a cast of characters destined to be forever changed by the one man they resented from the day he stepped foot on the hospital campus. Should you watch it? An enthusiastic yes! It’s one of your best bets for great entertainment at an enjoyable pace. 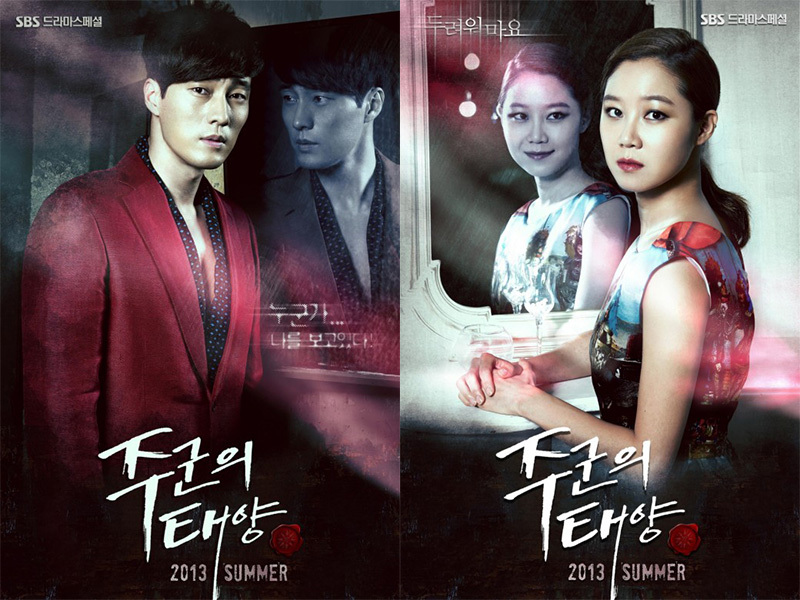 Part melodrama, part romantic comedy and part fantasy, The Master’s Sun is one of the new Ghost Dramas presently airing. 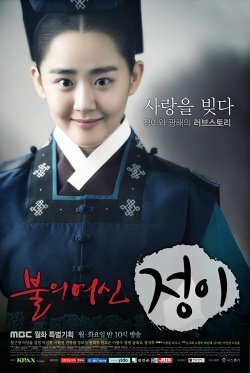 Tae Gong-sil suffers an accident and is left with the unwanted ability to see ghosts. Alone, and suffering from insomnia (those pesky specters just won’t leave her be! ), she finds solice in an unlikely source: the loveless, money-grubbing Joo Joong-won, CEO of a large company. For reasons unknown, his touch can dispel the ghosts that frighten the timid Tae Gong-sil. Once she discovers his unique gift, she doesn’t want to let him go. Joong-won, however, is not so happy about the company of a crazy-looking young woman, until he comes to believe in her gift, and finds that she might be useful. Who Are You? Is the other ghost-watcher drama. Yang Si-ohn awakes from a 6 year coma to find her memory gone and the ability to see ghosts as a replacement. As a police officer injured in the line of duty, but unable to recall the events surrounding her injury, she relegates herself to the Lost and Found Division, a welcome respite for Si-ohn. Besides, the objects in the Lost and Found Division seem to have interesting stories that her unique capabilities are able to unravel. 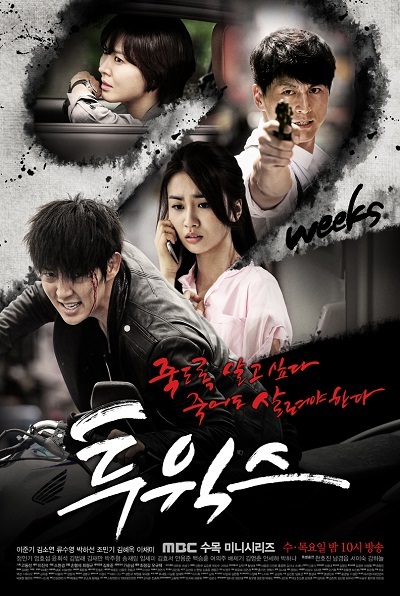 Her partner, Cha Gun-woo, sent to Lost and Found as punishment, becomes intrigued with her unusual crime-solving sense and he falls for her charms. Unfortunately, his rival in love is none other than her dead lover. This drama also goes by “Blade and Petal” which refers to the two major political dynamos at odds with each other at the end of the Goguryo Period in Korean history. The King, Yeong-nyu, is a pacifist who believes that war with the Tang will be the death of the “flower” (the people). The military general, Yeon Gae So-mun, believes that only by strengthening the military and meeting the Tang head-on, can the people survive. The stress of war is causing starvation in the kingdom. Each man firmly believes that what he desires is best for the people. Caught in the middle, in a Romeo and Juliette-like dilemma, are the children of the two great men: Princess So-hee and Choong, illegitimate son of the general. In a drama fraught with crossed-purposes and misunderstood objectives, the young people fight to protect the principles important to them, as well as the people important to them. Should you watch this drama? Even if you are not a historical drama fan, I believe the characters are interesting and the fight scenes are a definite draw for the manly crowd. While the pace may slow down at times while political intrigues are fleshed out, they do serve a purpose. Set in the Joseon Dynasty, Jung-yi is based on the story of a real historical figure: Baek Pah-sun, the first woman to become a potter by trade. She was kidnapped during the war. The drama begins before Jung-yi’s birth and chronicles her struggles through young adulthood. She was beloved by the prince, Gwang-hae. Palace politics abound. Filled with interesting characters, the pace can, nonetheless, be a bit slow at times. Should you watch it? If you like historical dramas, yes. The cinematography is lovely and the story-line is good. The acting is also credible and enjoyable. The pace is slower than a standard rom-com, but this is meant to be an epic saga. Jang Tae-san has lived his life as an orphan thug. Forced by a gangster boss to do jail time in his place, Tae-san spends time in prison, rather than endangering the woman he loves. Years later he finds he has a daughter who is dying and needs his bone marrow. He’ll gladly donate, but the mob boss has just framed him once again, never imagining that Tae-san might fight back this time. The most adorable small child on planet earth, Lee Chae-mi, plays the eminently endearing Seo Soo-jin, Tae-san’s brave little daughter, fighting cancer, cheering her father on. Twisted turns of events keep Tae-san running from the law in hopes of preserving his precious body long enough to save his precious daughter. Stay tuned for final reviews in the upcoming weeks. Previous “Let Me Out” – Kwon Hyun-sang Movie coming to San Diego -Watch the Trailer now!